A man killed by an alleged drunken driver is being honored by hundreds of fellow car lovers this Saturday. The fiery crash took place early Tuesday morning on Loop 101 near 35th Avenue. DPS officials said several witnesses saw the suspect drunk at a gas station moments before the crash. Several of them called 911 to report a drunk driver. Some of them even tried to stop him from getting into the car, but it was too late for Shaw. Tony Shaw, 22, was a big Subaru enthusiast and belonged to the exclusive club "Simply Subies." Members said he had a big passion for his 2015 Subaru WRX and had put a lot of money into modifying it. "Just like me and 1,700 members of our group he loved his car. If you drive a Subaru and you have a passion for it you're more than a friend, you're family," said Keaton Fujii, a member of the car club and a Subaru Ambassador. 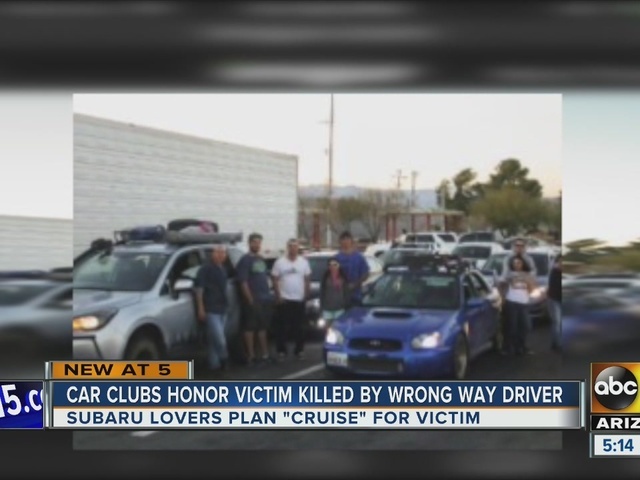 The club planned to honor Shaw's memory by holding a "cruise" down the freeway on Saturday. Fujii said you could expect to see hundreds of Subaru owners who would be a part of it. The bond of brotherhood in the club was strong. 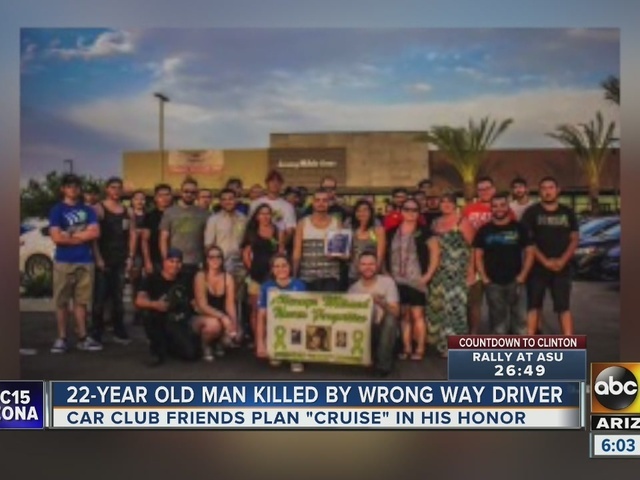 The group is slated to meet at the Jersey Mike's across the Subaru superstore in Chandler, at around 5 p.m. on Saturday, then drive down the Loop 202 to Loop 101 and end the evening with a celebration of life in honor of Shaw. The victim's family was very touched to hear about the "cruise." They're taking this loss especially hard because Shaw had just lost his father to a fight with cancer. A relative said Shaw's mother had been in the hospital since hearing the news about her son's tragic death. "Oh my gosh, this is extremely hard. I think we're still in shock. I don't think it has hit really. All I know is we're feeling this emptiness," Shaw's aunt Jennie Magana said. His younger brother said he still could not believe his sibling was gone. "When I first saw what remained of his car, that' when it really felt real," Austin Shaw said. "This person had no right being on that highway and you feel this horrible anger toward him, but he died too. You have to have some feeling for the fact that he died too," Austin said. Austin explained that he hopes this would make others think twice about getting behind the wheel after drinking. "It's not a joke. Everybody says I'm fine, I can do it I just live down the street. Just down the street is just enough," Austin said. The family has set up a GoFundMe page to help get through the unforeseen expenses.